The CNRP had planned a “people’s congress” at Freedom Park on Sunday, but the government—which has implemented a ban on public gatherings—denied the party’s request to gather at the park. 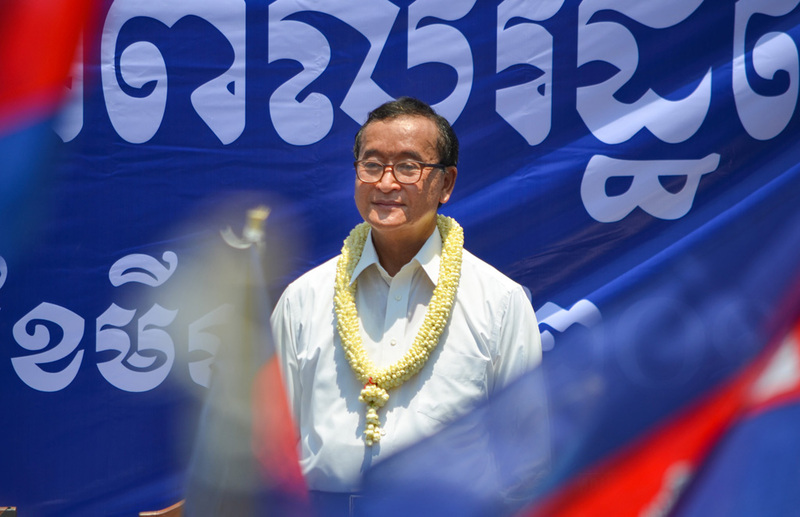 But the CNRP nonetheless held an impromptu march through Phnom Penh to its headquarters—where hundreds of CNRP faithful joined CNRP leaders Sam Rainsy and Kem Sokha for a ceremony in remembrance of 16 people who were killed in a grenade attack on an opposition rally in 1997. 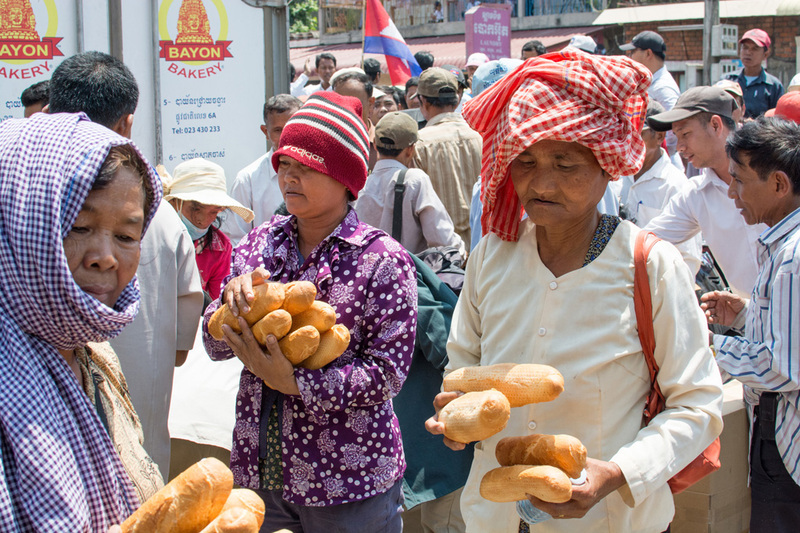 At the headquarters, Rainsy and and Sokha delivered speeches to the crowd, which remained relatively subdued until planned goodies—bread and water—arrived from Bayon bakery courtesy of the CNRP.